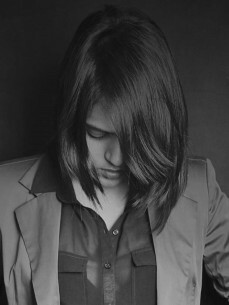 Born and raised in Mumbai, Manali Shah is one of the most promising DJ-talents of the Indian techno scene. Having passion and keen inclination towards underground techno and house music, she sank into the scene in 2011. Since then, Manali has been playing in clubs, bars and festivals all over India (Mumbai, Delhi, Pune, Hyderabad, Jaipur, Goa, Shillong, Kochi, Himachal etc) and for prestigious events like the Lakme Fashion Week. Her initial international stint was when she was invited play for underground dance music festival 'Temptation Island' in Maldives twice, followed Katmandu's prime venue, Club Galaxy, Nepal. In the summer of 2013, Manali made her debut gig in Europe, playing for Puzzled at La Caverna in Amsterdam. Amid her journey, she fell in love with the city and returned back in the summer of 2014 to move in for an indefinite period of time. Manali has recently played for PUSH at the Amsterdam's popular club, De Club Up. Also, she has a brand new monthly radio show at Skywalker-FM.